I have lived 29 full years of my life in Malabon. A sleepy old fishing town that became a city in 2001... I was raised in a community with lots of weird but interesting superstitious beliefs. One of them, the story of the flower known as "Baston ni San Jose". 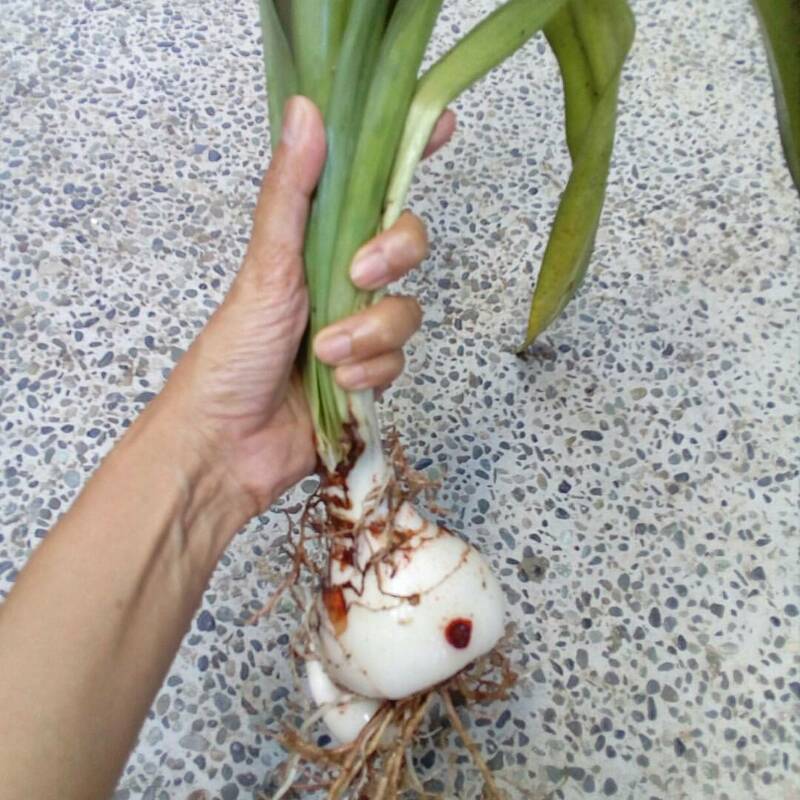 My nanay believed that when it blooms, there is something special about to happen. 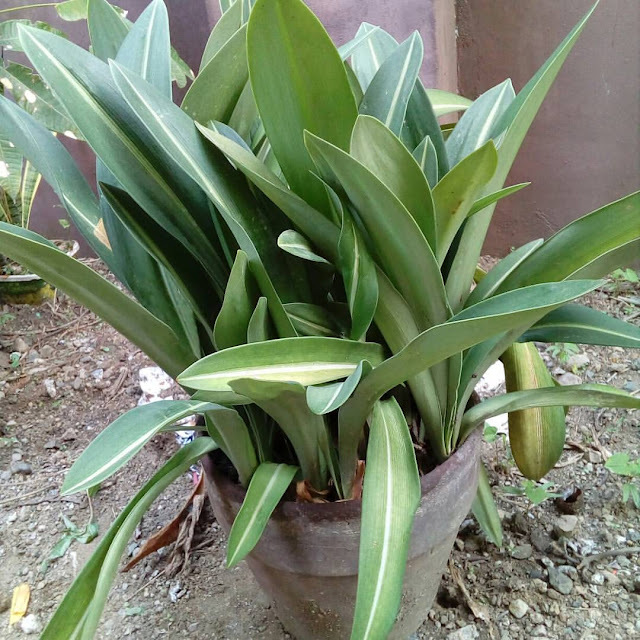 When we transferred from Malabon to Quezon City 9 years ago, we brought with us one huge pot of this plant. 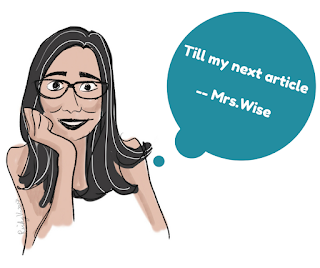 But it was just last year that I decided what to do with it. All those years... it has bloomed maybe once or twice. And yes... it brought me some luck! 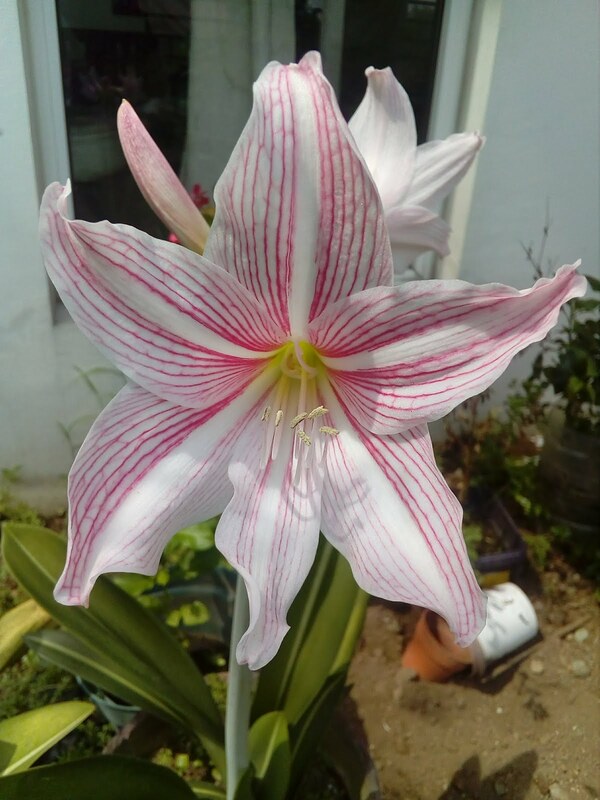 The bulbs we call Amaryllis are in the genus Hippeastrum, originally from South America. Hipeastrum hybrids, now grown commercially in South Africa and the Netherlands, come in an increasing range of colors and sizes. I observed over the years, that my Amaryllis didn't really need much care. I practically left it growing in one shady part of the garden. Sometimes, I would forget watering them. And, very seldom did it flower. So one weekend, hubby and I decided to replant it. 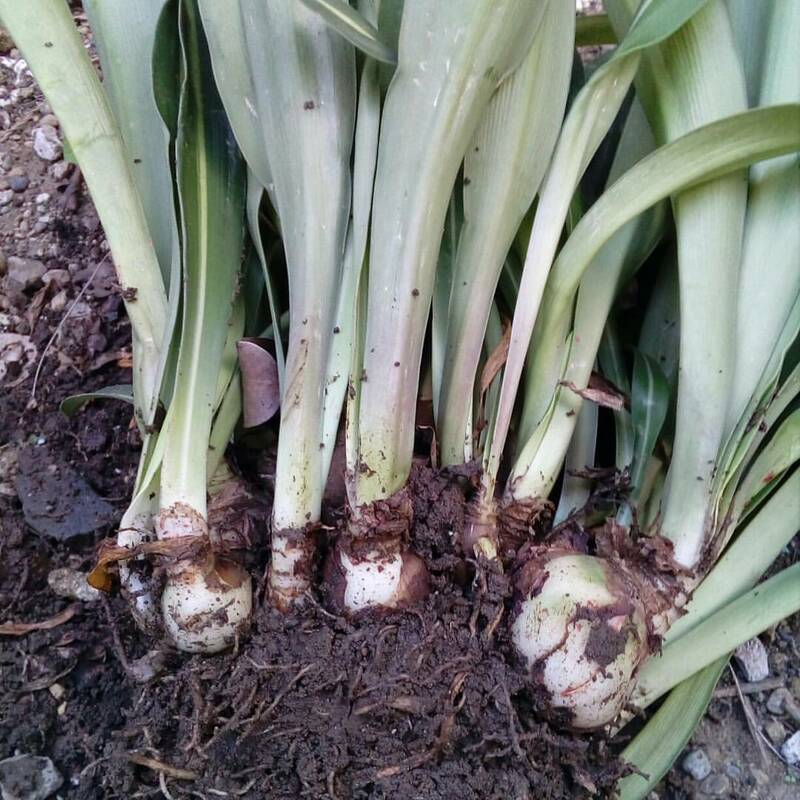 The bulbs were too crowded in one pot, so we had a hard time removing them one by one. 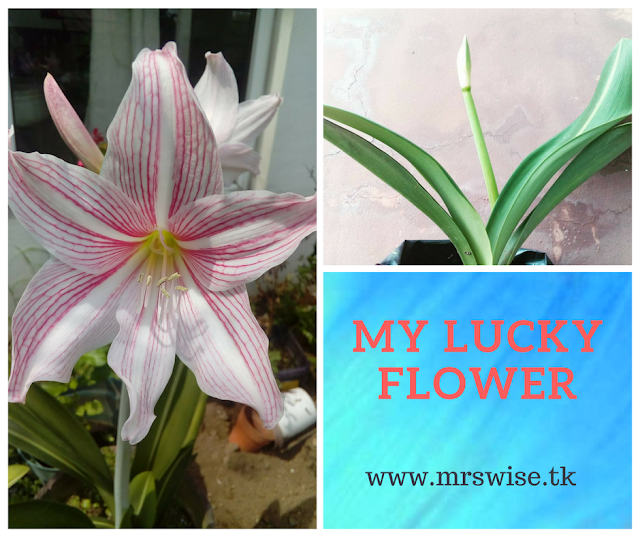 We were so surprised to discover more than 30 bulbs, of varied sizes, in the single pot. 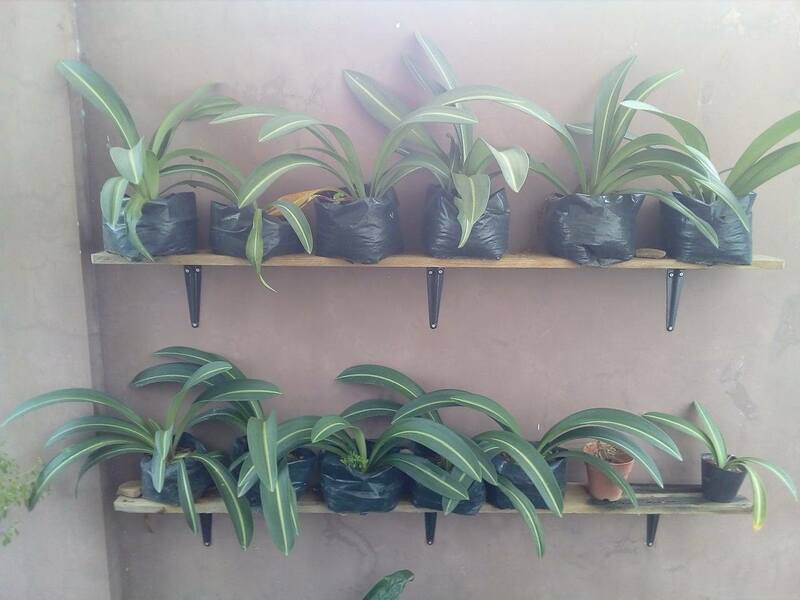 All of them have strong root system. We did not know what to do with it. Replanted around 10-15 of them in black plastic bags. The rest, we placed in a plastic container. Then I forgot all about it. After 2 weeks, I remembered that I had to continue with my replanting. 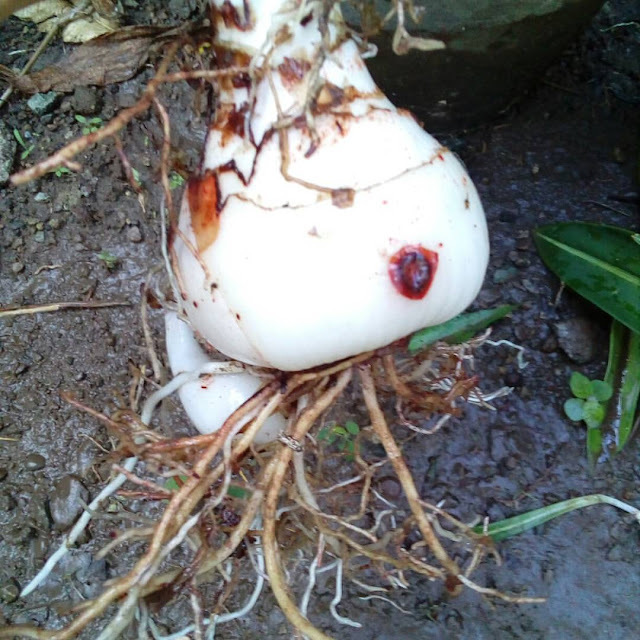 Lo and behold -- the rest of the bulbs didn't die. They were looking very much the same as we left them, under a table. I thought "hindi pala maselan". Replanting the Amaryllis is very easy. 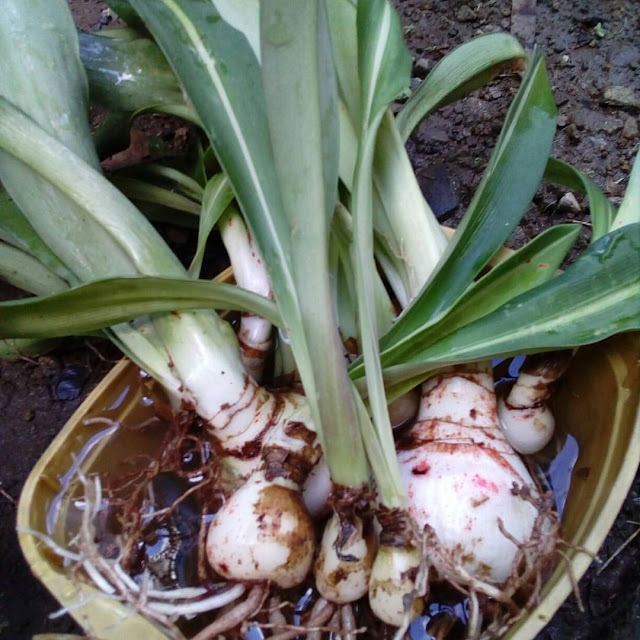 Just put a bulb into the soil, just enough that the neck and shoulder of the plant is just by the rim of the pot. The bigger the bulb, the bigger the pot. Choose a pot that is stable -- clay pots are ideal -- because the plant has the tendency to be "top-heavy" when its full grown. So it needs a sturdy pot. Water the pot regularly, keeping it moist, but not soggy. 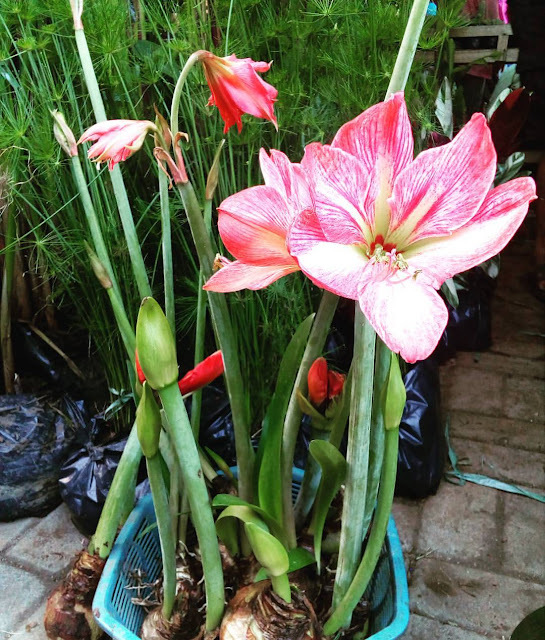 Surprisingly, you still have two other choices of how to plant your amaryllis. It can also grow well in water and coco peat. My goal now... to buy more Amaryllis in different vibrant color! - As your Amaryllis bulb gets larger, you will need to increase the size of the pot. the plant is kept in a cool spot once it blooms. 8-12 later, that will be the start of your rest period or dormant stage. 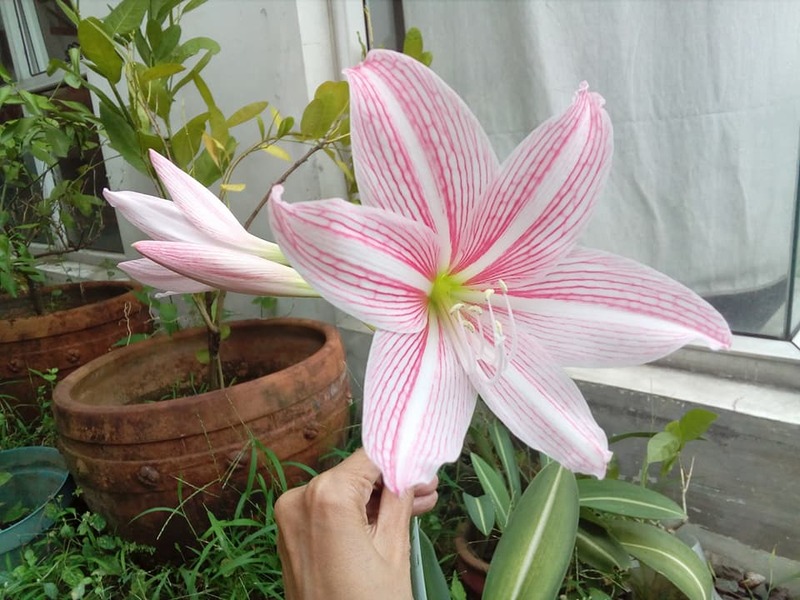 Will update you the soonest dear readers... if I get to buy additional Amaryllis to grow. For now, I would just stare and enjoy my blooms as it brings me more luck in the coming year!